For the next part of explaining the philosophy we train with, I wanted to talk a little more about the third law. As a reminder, the third law states that your body as designed to be given stimulus in a progressive manner in order for the maximum amount of efficiency. We have always refereed to this as God’s Strength Progression. Again that can be nature’s strength progression or whatever you believe in, evolutionary strength progression would work. Regardless of what progression you want to believe in , the fact is they are all the same. Think of a young child as they develop from infancy though the toddler years and then into the early school years. First obviously an infant starts out on his or her back. We realize they lack the strength necessary to support their head so placing them on their stomach risks suffocation. So as they lie there on their backs we play with them by making faces as they wiggle their arms, kick their little legs and wiggle all over the place. This is the first stage we call supine meaning they are on their back. Secondly the infant is able to accomplish the big monumental task of rolling over. How is this accomplished? The wiggling cute little movements they did on their back were actually building strength in their little arms and legs and throughout their core. Once they have established a high enough level of muscular control they are able to roll onto their stomachs in the prone position. 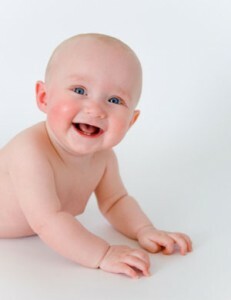 In this position, babies are able to accomplish a completely different level of stimulus to the muscular system since they are now able to put pressure into their joints. Also the first levels of movement are established as they begin to rock back and forth and then eventually crawl. Stop and think for just a minute the last time you did any movements that would emulate an infant. When is the last time you crawled around on your stomach or laid on your back and initiated various movements in the hips or the shoulders. We simply do not train like that anymore. Instead we sit on thousand dollar pieces of equipment and isolate the muscles in the body. How far away is that from the way our bodies were intended to be trained? Eventually the infants are able to stand, walk , crawl, jump, skip, climb and other the other fun things we loved to do growing up. None of this requires stairmasters or nautilus machines or giant round balls to do dumbbell presses on. Now we have trainers that are doing a much better job of understanding that we need to do more total body training and even body weight training. This is a great pattern developing in the fitness industry and trainers are becoming more efficient in these practices. However I notice that the introductory level into these is much higher than the client is capable of performing correctly. This is where we try to make sure we completely follow the 4 laws of training by using the strength progression. This means we will spend time in supine, prone, and loaded positions every workout we do. This, in our opinion is the way it is intended to be. so you’re saying that athletes workouts should follow the same progression that an infant goes through when developing? What would this look like, say, if I were going to train to sprint faster?